Note to readers: This is an archive post. Following the completion of the Marriott and Starwood merger, points transfer rates and award redemption costs have changed. AMEX Membership Rewards points are one of the most valuable and flexible points currencies available to Australians. I recently used just 150,000 AMEX Membership Rewards points (and paid just $160 AUD in airline taxes) to book business and first class flights and 7 nights accommodation in a luxury five star resort. 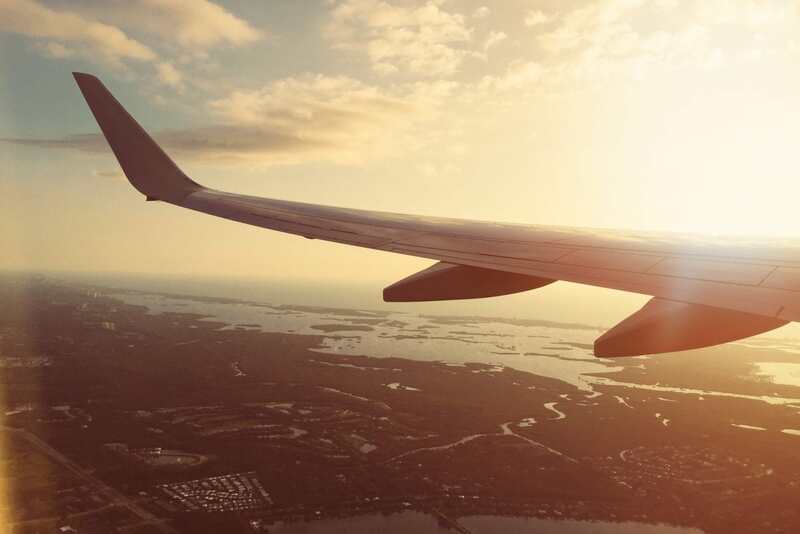 Read on to find out how easy it is to book your dream trip using AMEX Membership Rewards points. First of all, I picked up most of my points with the AMEX Explorer Card. The remaining points were picked up surprisingly easily through day to day spend. The Explorer card earns 2 points per dollar on all categories except for Government spend. Once you’ve got your points, you’ll first need to transfer them out to Starwood Preferred Guest (SPG). American Express points transfer out to SPG Starpoints at a rate of 1 to 0.5, so your 150,000 points convert to 75,000 Starpoints. American Express Membership Rewards points transfer to leading airlines and hotel chains. In order to transfer to SPG, you’ll need to first enrol in the program (it’s free). Once enrolled, points transfers can be undertaken easily via the American Express website. This typically takes between one and three business days to post. Next, convert your Starpoints to Marriott Rewards. Marriott acquired Starwood in 2016, and set up an instant points transfer process between the two programs. 1 Starpoint converts to 3 Marriott Rewards points, so 75,000 Starpoints will net you 225,000 Marriott points. If you’re not a Marriott member yet, you first need to set up a free account here. Then, follow the steps to convert your Starpoints to Marriott Rewards. Marriott Rewards points can be redeemed for a range of 7 night accommodation ‘certificates’ and frequent flyer mile travel packages. These packages offer incredible value, and are my personal redemption option of choice. With 225,000 Marriott points, I was able to purchase a 7 night category 1 to 5 accommodation certificate with a side serve of 77,000 United Airlines MileagePlus miles. While there are a range of other packages that can be purchased with a higher number of points – we’ll look at the different options in a future post. 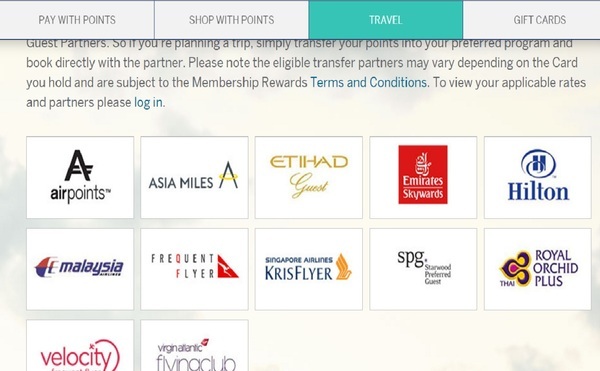 While United MileagePlus isn’t an airline scheme that most Australians are familiar with, until 1 November (when a devaluation will occur), it is offering incredibly cheap ‘sweetspot’ business and first class award flight redemptions from Australian cities to South Asia with redemption partners Thai Airways and Singapore Airlines. If you’re not yet a member of United MileagePlus, you’ll need to first sign up for free here. Furthermore, these packages are not available online. You’ll need to call Marriott Rewards Support in Sydney on 02 8298 5250 and ask an agent to reserve the package for you. Once the 77,000 United Miles have been credited to your MileagePlus account (likely 3-5 business days after you ordered your Travel Package), you can go ahead and book flights on the United website. 77,000 points is enough for a return Saver award from Australian cities to locations in South Asia with carriers like Singapore Airlines and Thai Airways. To maximise the reach of your miles, we’d suggest you travel one way in business (30,000 points), and one way in first (40,000 points). In comparison, you’d need 60,000 points just to book a one way business class award to Asia using Qantas points, and would pay far higher taxes. I was able to easily find availability for return flights from Sydney to Ho Chi Minh flying partner airline Thai Airways. I chose to fly business on my outgoing leg and first class on the incoming leg. The reason? Both flights transit in Bangkok and I wanted to experience the Thai Airways Bangkok Lounge and Spa which has a reputation as one of the best first class lounges in the world. In addition to a full a la carte and cocktail menu, guests are offered a massage lasting 60 minutes and a ‘Royal First’ golf buggy airport transfer service to and from the gate (possibly a bit gimmicky, but something for the bucket list!). When priced in cash as opposed to points, the cost of these flights was $11,560 (AUD). As I was paying with points, I simply needed to cover a small cash payment of $160.89 (AUD) for taxes. With my flights locked in, it was time to book my accommodation package with my 7 night category 1 to 5 property certificate. You can search all properties on the Marriott website. The hotel category is prominently displayed, which makes identifying the properties on your short list easy. Category 1 to 5 properties are a mixed bag, but a few gems can be found. 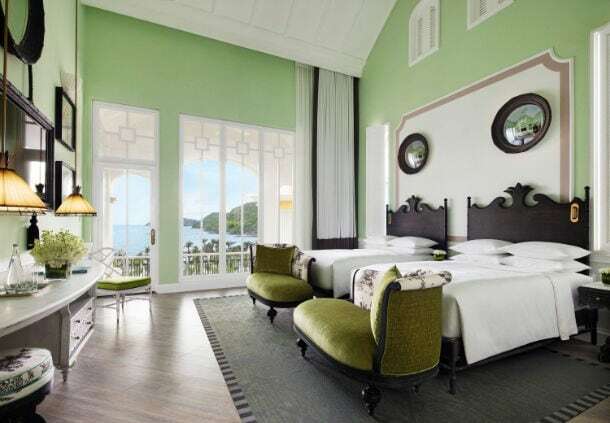 My pick of category 5 properties is the newly opened J W Marriott Phu Quoc Emerald Bay Resort & Spa. I was able to find availability to use my 7 night certificate for my required dates in November 2017 (high season) for a ‘Larger Emerald Bay view’ guest room. The going rate per night was $563 (AUD), or $3,941 (AUD) fo seven nights. However, I was able to book this room for no cash outlay as my 7 night accommodation certificate covered the entire cost. Step 7 – Book incidental items with American Express ‘travel credit’. Many cards that operate on the AMEX Membership Rewards points scheme come with free travel credit. In the case of the Explorer card a generous $400 travel credit is provided each year. As a result, this is handy for any other airline, hotel, car hire or ‘incidental’ travel costs you may encounter. For my trip, I was able to use my $400 Explorer travel credit for connecting flights to and from Sydney. All up, the dollar value of my luxury 7 night trip to Phu Quoc island came in at $15,501 (AUD). However, I was able to purchase it for just 150,000 American Express Membership Rewards points and $160.89 (AUD) in taxes. In conclusion, I’d have to say that AMEX Membership Rewards is my favourite award scheme. AMEX MR points are incredibly flexible, provided your AMEX account is in good standing, they have no expiry date. If you’re ready to start broadening your horizons from Qantas and Velocity, AMEX Membership Rewards is definitely worth looking into.